As reported by LTJG Stephanie Palacheck from Patrol Squadron (VP) 10 in his article VP-10 ‘Red Lancers’ Conduct Compatibility Exercises with JMSDF Counterparts, the “Red Lancers” of Patrol Squadron Ten (VP-10) conducted a four-day joint compatibility and training exercise with the Japanese Maritime Self Defense Force (JMSDF) Fleet Air Wing Four (FAW-4), Feb. 14-17, 2017. 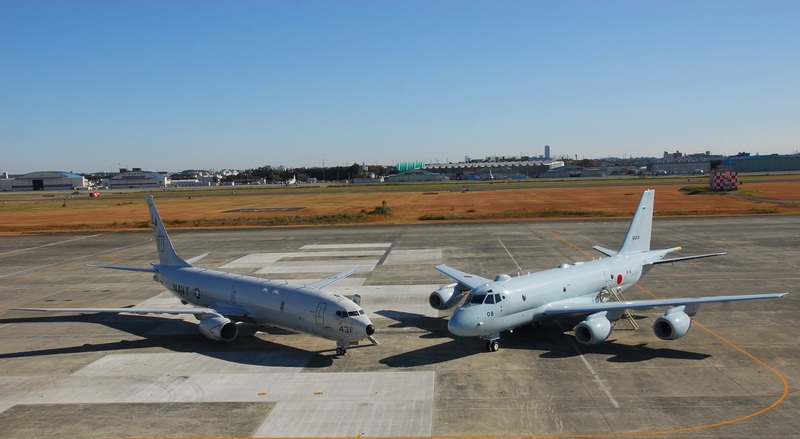 The exercise began with compatibility testing between the U.S. Navy’s new P-8A and the JMSDF’s newest maritime patrol aircraft, the Kawasaki P-1. Lt. j.g. Stills, the VP-10 exercise coordinator, stressed the significance of this testing for the future of joint operations. 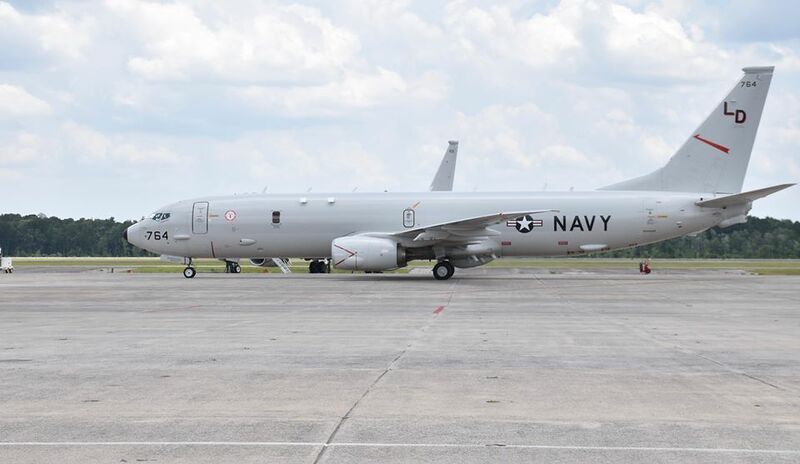 “It is important to maintain an awareness of our joint capabilities; especially as we both transition from the older P-3C Orion to newer platforms with the latest in avionics and technology,” said Stills. The training concluded with Anti-Submarine Warfare (ASW) and rider exchange events. Members of VP-10 joined the VP-3 “Sea Eagles” on a P-1, and hosted FAW-4 crewmembers on an ASW flight in the P-8A. This crew swap allowed both VP-10 and FAW-4 to share ASW techniques and best practices, as well as ensure continued interoperability between aircraft platforms. Lt. Alejandro Ravelo sits in the cockpit while flying on a P-1 exchange flight with the Japanese Maritime Self Defense Force (JMSDF) VP-3 “Sea Eagles”. 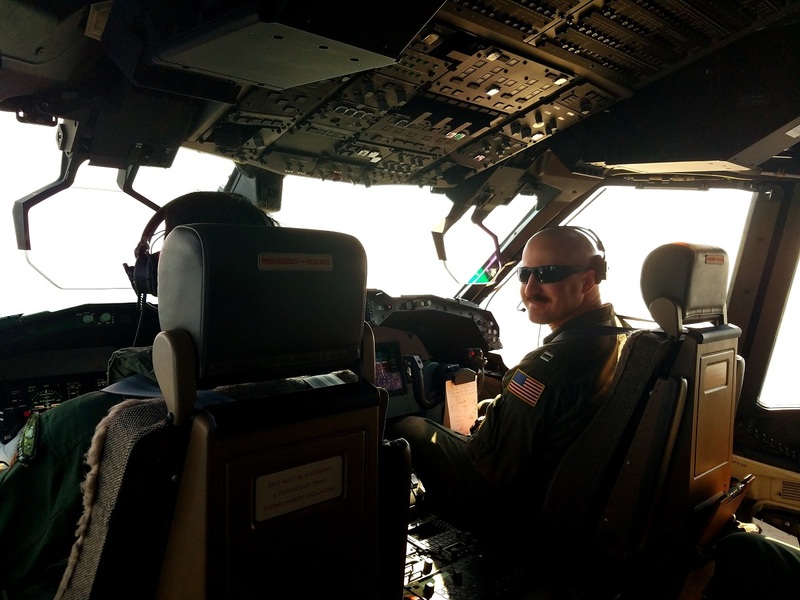 Several crews from the Patrol Squadron Ten (VP-10) Red Lancers participated in a four day joint compatibility and training exercise with the JMSDF Fleet Air Wing Four (FAW-4). The Red Lancers are based out of Naval Air Station (NAS), Jacksonville and are currently on a six-month deployment in support of U.S. 7th Fleet. This exercise was one of many bilateral events that VP-10 has participated in throughout their deployment. Training conducted at these events helps to strengthen interoperability between forces, enhance the USN-JMSDF alliance, and strengthen theater security cooperation.